It’s nearly the end of 2013 and so a lot of us are making our New Year’s Resolutions. 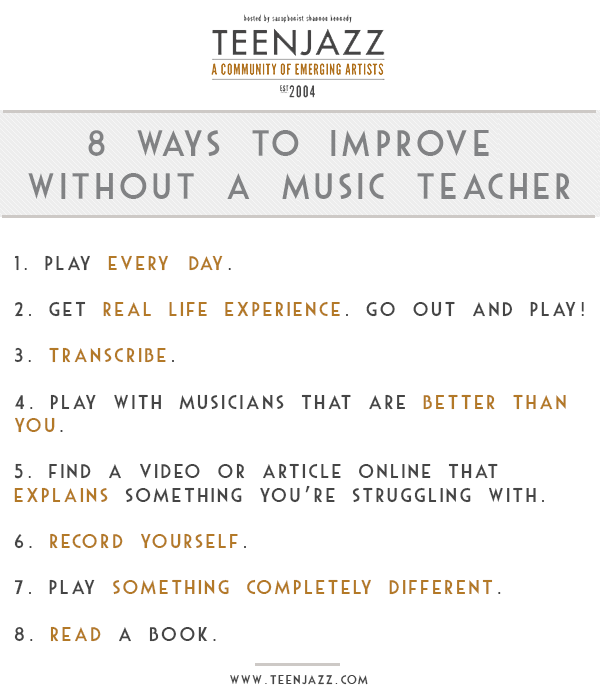 For many, continuing to improve and grow as a musician in the next year is high on our list of goals for 2014. For those not currently studying with private teachers, creating a practice schedule or finding resources to help you get better at your craft may not be easy, so we’ve compiled a list of things you can do in the next year to help you improve. 1. Play everyday. You can download our Project365 worksheet to help keep track. It’s motivating to see several days in a row marked off. 2. Get real life experience. It’s one thing to play along with tracks, recordings or read music while you’re at home. Getting out and playing live is a completely different experience. Check out jam sessions in your area. 3. Transcribe. Listen to recordings and learn to play the melodies and solos of other performers and the chords of new songs. 4. Play with musicians that are better than you. 5. 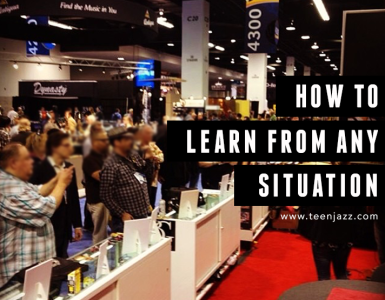 Take advantage of the countless resources available to our generation. If you’re having trouble doing something, chances are someone has written an article or recorded a video explaining how to do it. Why not start with our free eBook? 6. Record yourself. 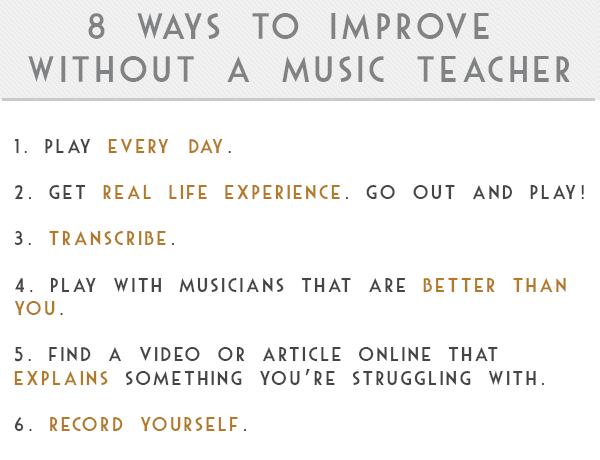 Listen back to recordings you’ve made while practicing or during performances. You may hear mistakes that you didn’t know you were making or things that you need to improve may stand out more. 7. Play something completely different. 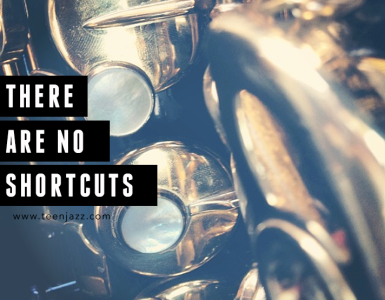 A great way to round out your playing is to do something completely different like practicing music in a different genre (sightread some classical etudes if you play jazz) or even trying a different instrument. 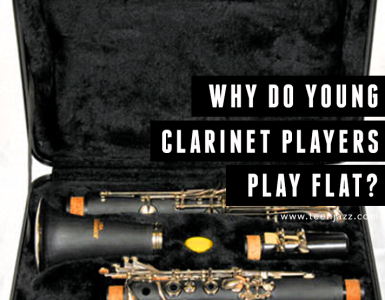 For example, I started to play guitar and it has helped me memorize chord changes and understand harmony better than I did just playing saxophone. You can try some of our jazz lessons to start. 8. Read a book. Read the biography of one of your favorite artists, a book on music theory or music psychology or even a music business or marketing book. It will help round out who you are as a performer. Here’s our suggested lists of music business books and musician biographies. Is there anything else you think should be on this list?